We are an independent group of Star Trek fans (a Star Trek club if you like, although we're not that formal). Our Facebook page is a friendly place for Star Trek related chat, but we also meet up at events including those that we run ourselves.  Our flagship event is the Klingon Banquet that, since 2007, has raised over £25,000 for our charities. So whether it's joining us at our next event or visiting us on Facebook, we look forward to meeting you. Starbase 24 is an independent group. It is not associated or affiliated with any other group, company or association. Its purpose is to raise funds for cancer support and other charities while having fun and celebrating our love of science fiction at the same time. Its 'Command Team' is made up of people who receive no remuneration or benefits from the group. (We even pay for our own tickets to the Banquet.) Thank you. 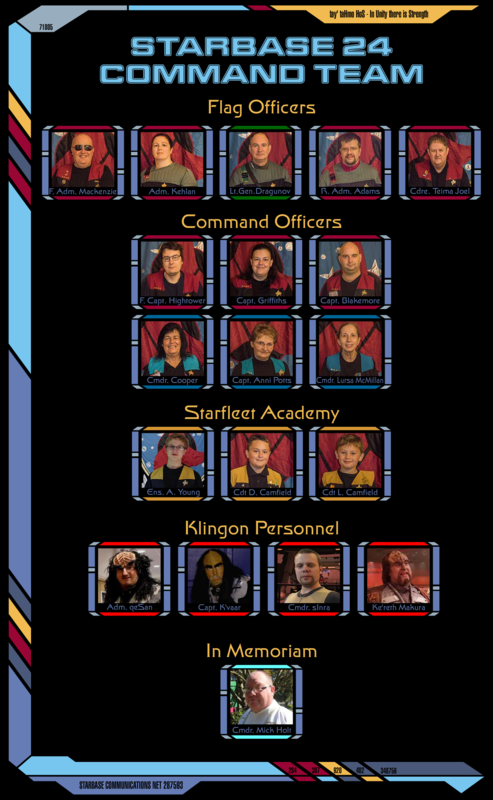 The management team of Starbase 24 can be contacted either via the Facebook group or by emailing Admiral Kehlan on admiralty@starbase24.co.uk. Thank you to all who joined us at the Starbase 24 Banquet 11.  So far with your help over 11 years of the banquet and other events, we have raised some amazing totals for all our causes! We are not a fan club in the sense that members have to sign up. Everyone is welcome on our Facebook pages and at our events, regardless of other clubs or groups they belong to. Everyone is encouraged to submit ideas and thoughts. Our command team are a group of individuals who facilitate before, during and after all our events and projects. Access to this group is given at the discretion of the heads of the team – Kehlan and the Admiral. The mission of Starbase 24 is to provide a friendly, fun Star Trek experience and to promote the ideals of fellowship and charity promoted by Gene Roddenberry’s vision. Cancer Welfare: To help relieve suffering and improve the lives of people living with cancer and to inspire others to do the same. Animal Welfare: To assist with the relief of animal suffering. 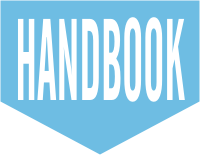 To help educate the public on the issues of importance to both charity groups.  To offer support and assistance to other charities/good causes on an ad hoc basis depending on need at the time. To provide a free and accessible place for anyone to discuss Star Trek and/or related subjects and to ensure that our community, whether online or in the real world, remains a safe, welcoming and fun place that is family friendly and free of bullying, harassment and discrimination on grounds of religion, ethnic origin, gender/sexuality or disability. To reach out and form friendships with other like-minded Star Trek and Sci-fi groups/clubs, both here in the UK and across the world and to take part in fun, collaborative projects with other groups which achieve mutual goals. We enjoy good relations with almost every fan club in the UK and even some beyond, and we will happily consider collaborating on any Star Trek fan project. However, we do not wish to become a permanent part of a larger fan club, and intend to retain our autonomy for the foreseeable future. By the same token, if asked we are only too happy to advise or assist you if you are running a fan club or trying to set up an event or meeting. We are also thankful for any promotion of Starbase 24 events, especially our banquet. That being said, we have no desire to take over/assimilate your club as a chapter or sub group of Starbase 24. We have a sister club, the USS Obready in the Eastern townships of Canada and enjoy close friendships with other groups in the UK. These clubs remain completely independant of Starbase 24 but enjoy a special friendship for the mutal support and benefit of all involved. We are also happy to hold out the hand of friendship to any other group or club that wishes it. If you are a club looking for new members - or an individual looking for a club to join, let us know and we will do our best to help put you in touch with each other. Starbase 24 would like to take this opportunity to thank everyone who made this website possible. A big thank you also to our command team who help keep things running smoothly. We would like to give special thanks to Ke'reth epetai Makura, Alain Rivard, Georgie Hutton, Adam Dolphin, Sarah Harris and Dave Mettlesits who have not only allowed us to use their work, but have created images especially for us. Thank you to Starbase 79 for generously allowing us to use their Starbase schematics. We'd also like to thank those talented people whom we have been unable to contact but whose work appears here. If we are using your work without acknowledgement please do make contact so that we can give credit.